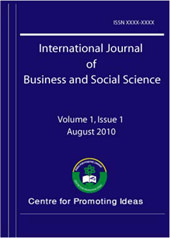 This paper reviews the literature on and evaluates the concept of customer citizenship behavior. Next, it examines general categories and dimensional qualities of customer citizenship based on insights about civic and organiza-tional citizenship. Then, it presents four views on reasons for customer citizenship (an integrative taxonomy of motivation, social capital, resource exchange, and altruism). Next, it reviews possible positive and negative ef-fects of customer citizenship. Finally, it examines managerial and research implications of these considerations.